What do you get when you combine a fun mom and an Airstream? 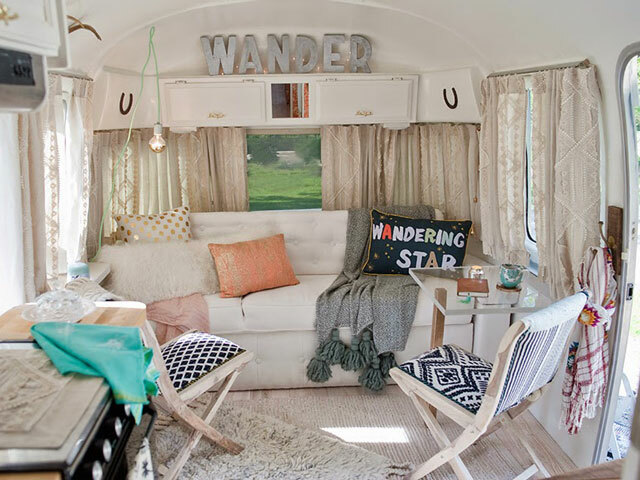 Sarah Schneider, a blogger at @lovesarahschneider , bought an Airstream and aptly nicknamed it the Wandering Star. 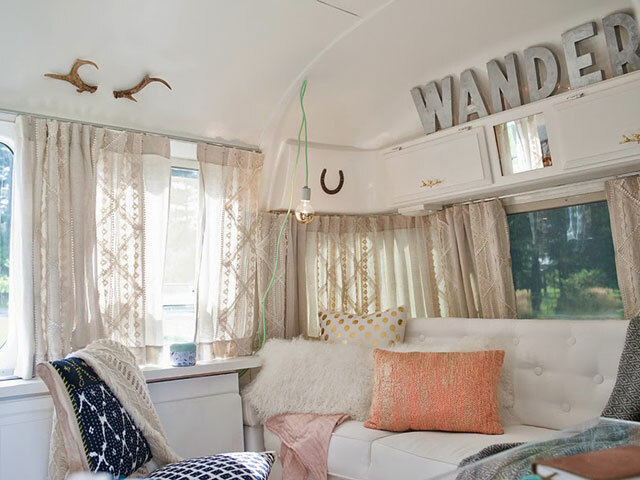 She then transformed the standard dark wood interior into a happy, kid-friendly, space that any kid would be happy to camp in, and have a party! Airstreams, the silver bullets of the camper world, are notorious for their curvy bodies and aluminum siding. 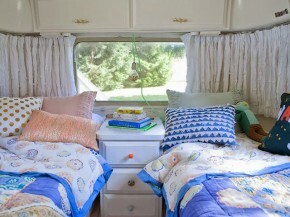 The campers are also known as being well-made , easy to tow, and a brand that holds value so they are a perfect choice. Airstream is a company steeped in history and meager beginnings – an indisputably All-American product. As their website states, Wally Byam, a former advertising manager at Stanford University’s newspaper, created a homemade camper using canvas and the chassis of a Model T (much like others had done during the time) but his re-design was a bit more, well, refined than the others. 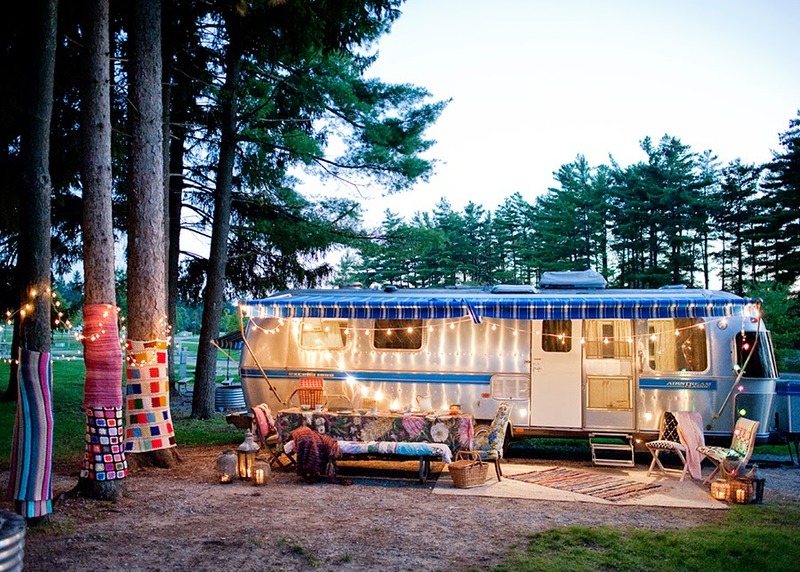 In 1929, Wally Byam built the world’s first Airstream trailer. It started out as a tent contraption that he built on a Model T chassis, but it wasn’t a lot of fun in the rain (and Wally’s first wife Marion wasn’t a fan). So he replaced the tent with a teardrop-shaped permanent shelter – and added a stove and ice chest, too. Inquiries from the camper landed Mr. Byam a job writing a small magazine guide for the Popular Mechanics called a Guide to Building a Trailer. 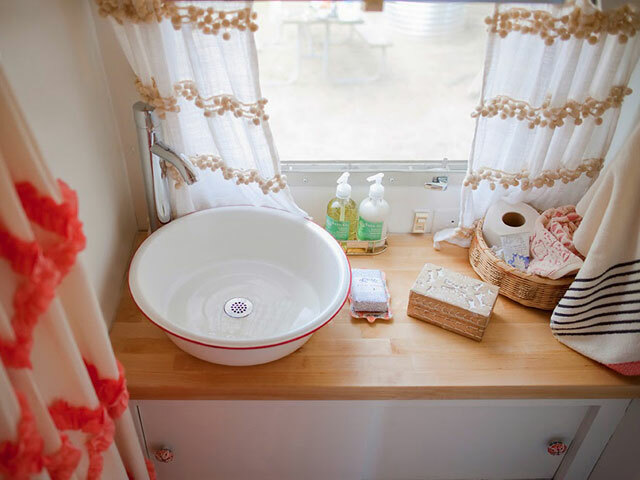 Mobile Home Living’s newsletter subscribers will be familiar with the resource. You can subscribe below if you haven’t already! Sarah expertly decorated the Airstream. She used several well-known tricks for dealing with a small space. She also collaborated with the popular lifestyle brand Anthropologie for the furnishings and decor creating one stylish Airstream. 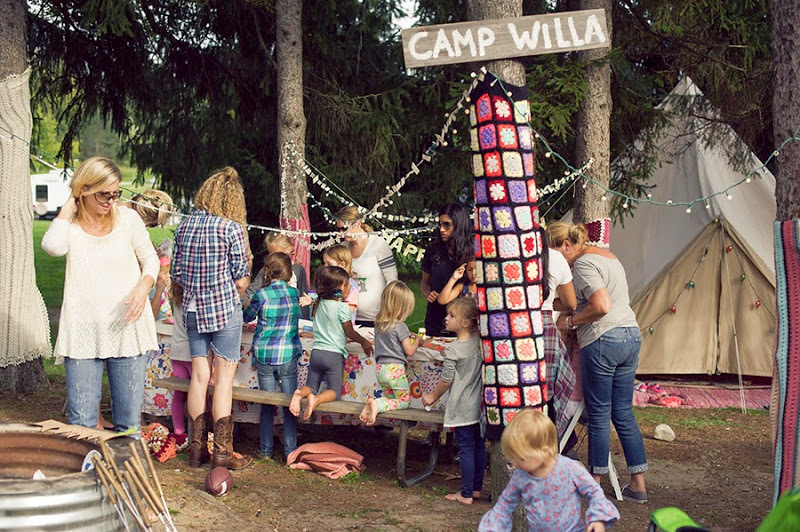 The result was perfect for a glamping style birthday party too! One of the easiest ways to make a small space seem bigger is by using neutral colors on as much of the walls, ceiling, flooring, and furnishings as possible. This creates an open canvas – ready for texture and pops of color. Lots of mirrors and others reflective surfaces is a smart trick for decorating small spaces. Use bands of color, from floor to ceiling, to trick the eye into looking up and down – this will make the space seem taller. 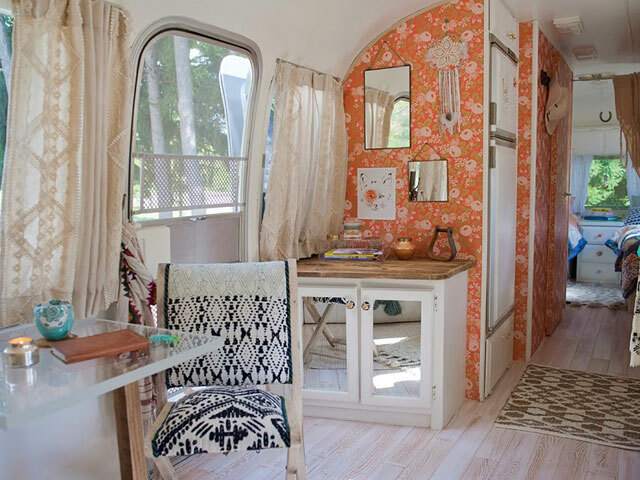 See another awesome Airstream here. Once the interior was finished, Sarah moved on to the outdoor space. 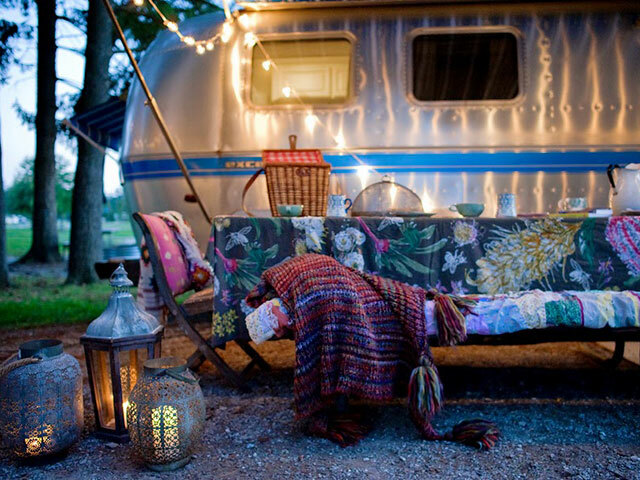 Camping is always more fun when the living space outside the camper is just as stylish as the inside. 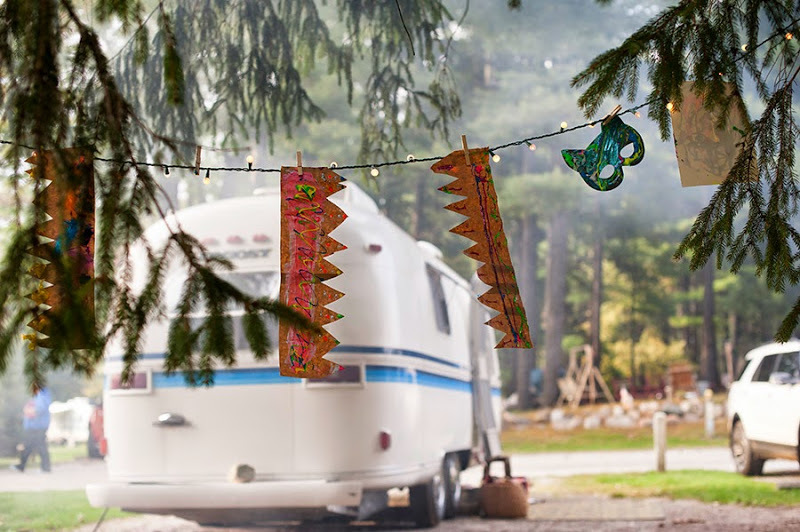 All great campers have an awning to create shade and connect the outdoor space to the interior. 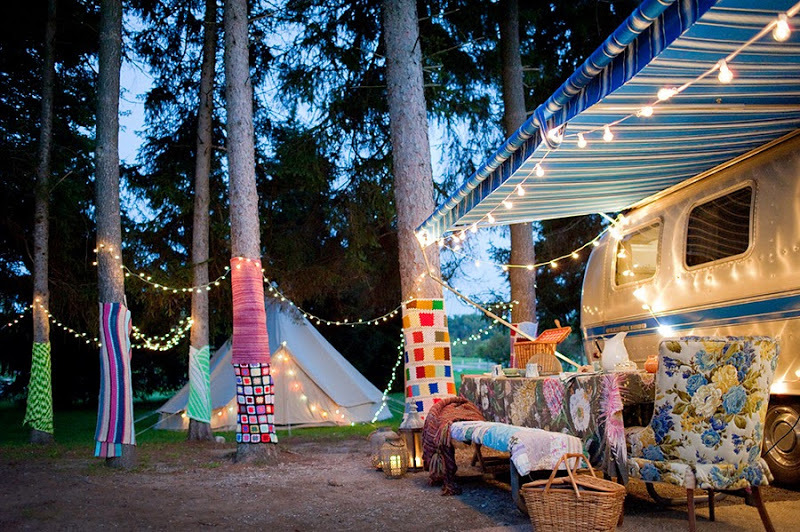 String lights are great for campers – they are fun and functional. Stylish lanterns add texture. Tables are handy to have for camping and partying. Homey table clothes over the tables help create a homey atmosphere – creating a true outdoor living space. 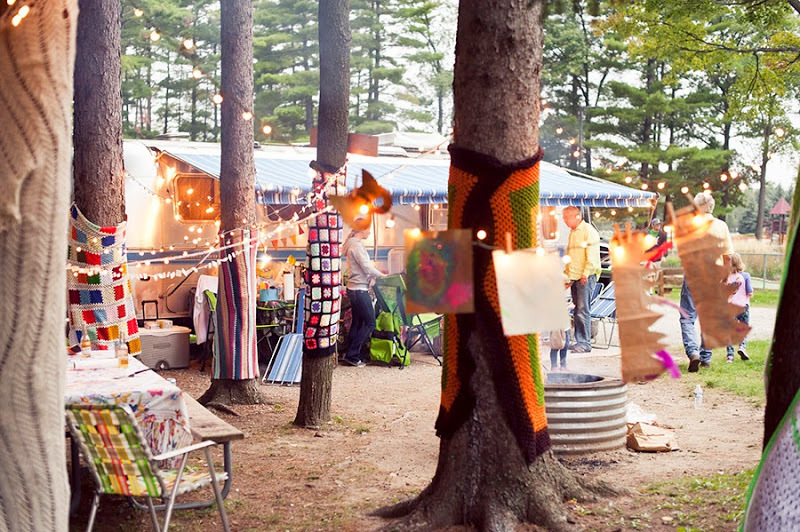 Sarah attached crocheted blankets around the trees closest to the Airstream to create lots of cozy colors. 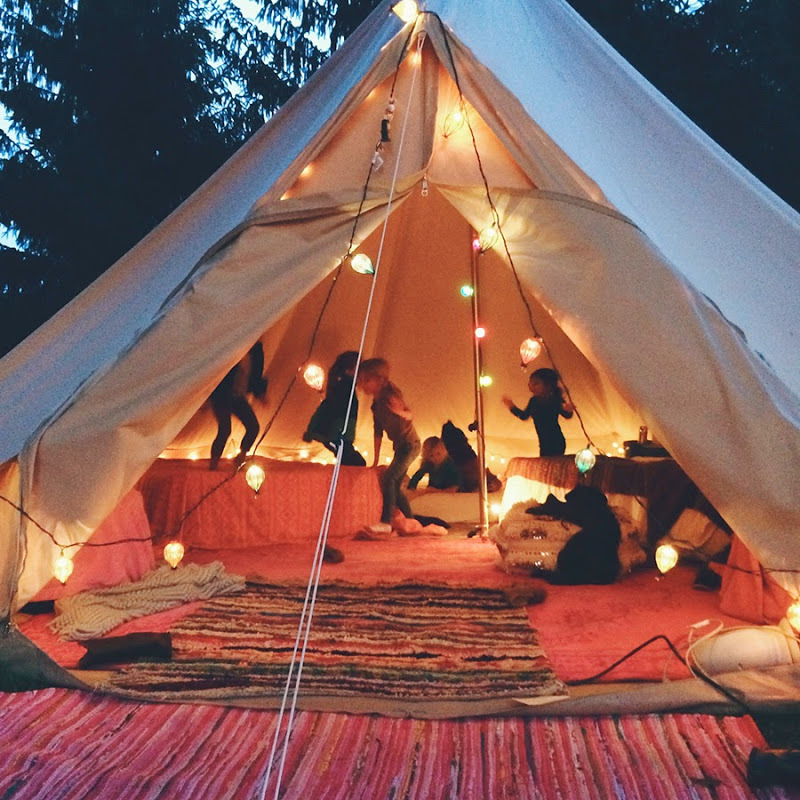 Additional sleeping quarters for all the party-goers is created using a large canvas tent. This is a party that any little girl would appreciate! Fun crafts and friends make any party great! 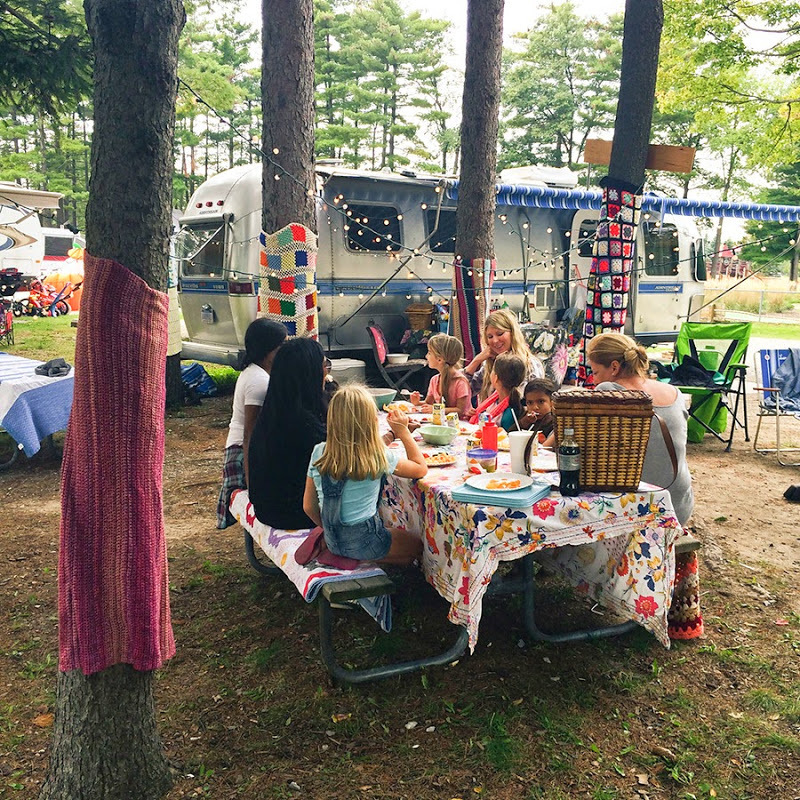 A beautiful Airstream interior paired with a cozy outdoor space and a fun group of friends creates a perfect birthday party every time! After packing up the Airstream is ready for the next memory. 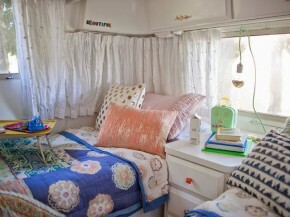 You can read more about the Airstream and Willa’s Glamping party here and here. 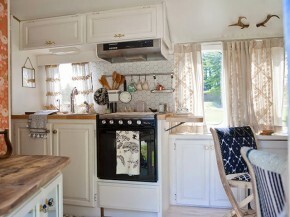 See another great Airstream remodel here.